70 plus in Los Angeles when I leave. 8 degrees in Anchorage when I land. After a few hours of sleep, I wake up early and make the 5-minute walk into downtown so I can put postcards in various coffee shops and the Iditarod store in the 5th Avenue mall. It’s all part of the drill when you are your own street team. 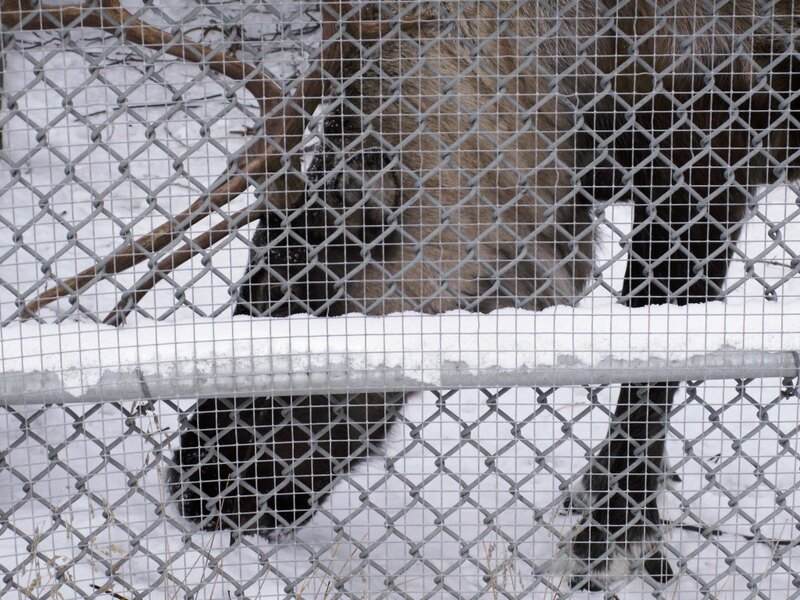 A sign on the fence lets me know this is Star the Reindeer and urges me to become Facebook friends with him. I smile. Who wouldn’t want to be Facebook friends with Star the Reindeer? The Anchorage International Film Festival staff and volunteers are all amazing. Hospitality Czar Don sets up an online interview and I set up a bunch of radio and TV appearances to talk about MUSH. I meet a bunch of cool filmmakers in from all over the world, most of the AIFF programmers and staff. I tell all the Alaskans that I was married above the Arctic Circle in Coldfoot (on the Haul Road) and they all agree that this semi-qualifies me as an honorary Alaskan. I’ll take what I can get. Lots of press — websites, two TV stations, a radio interview, a couple of print journalists. I drive north of Anchorage listening to the new Ben Folds/Nick Hornby album and get a surrealistic jolt when the song “Levi Johnston’s Blues” starts up just as I enter Wasilla. At the nearly empty headquarters of the Iditarod Trail Committee, I stop in front of the statue of Joe Redington, Sr. for a long time. If it weren’t for him there wouldn’t be an Iditarod and I wouldn’t be here, so I give silent thanks (and then leave some postcards in the entryway). I brought my video camera and a still camera, but they stay in the car. I’ve already got lots pictures and video — and this isn’t the time to get more. The Opening Night Gala features a screening of The Wild Hunt (adults role-play as Vikings and Elves in the middle of a forest and a love triangle ends with tragic violence) at the Bear Tooth TheaterPub, which features dozens of craft-brewed beers on tap and homemade pizza. As the staff presents clips from some of the films and introduces filmmakers, I look around the place. The Bear Tooth is impressive — huge screen, good sound, and a capacity of nearly 500 including the balcony. This is where MUSH will premiere in less than 48 hours. After midnight, I discover that my rented Yaris has a warning light to indicate when it’s skidding. Because really, when you’re skidding, what you really need is a warning light to distract you. I drive slowly to the hotel as huge wet snowflakes fall.